Put your best foot forward with Dutch footwear brand Mercer Amsterdam’s eco-friendly vegan trainers made from pineapple leather. Dutch footwear brand Mercer Amsterdam has introduced its first ever eco-friendly vegan sneaker made using sustainable pineapple leather. The brand has teamed up with pineapple leather experts Piñatex to use its cruelty-free and sustainably sourced leather alternative which has become increasingly popular in recent years thanks to the growing demand for eco-friendly, animal-free clothing from consumers. According to the brand, they experimented with a range of innovative materials to find the perfect eco-friendly animal-free material to create the trainers. No one likes sweaty feet, and the brand has tried to minimise the risk by lining the trainers with a microfiber textile which gives the sensation of real leather but is, in fact, a microfiber that is 100% breathable, giving total dryness with thermal control for optimal comfort. Last year, fashion brand Hugo Boss entered the world of ethical fashion with the release of a new vegan range of eco-friendly sneakers made from pineapple leather. 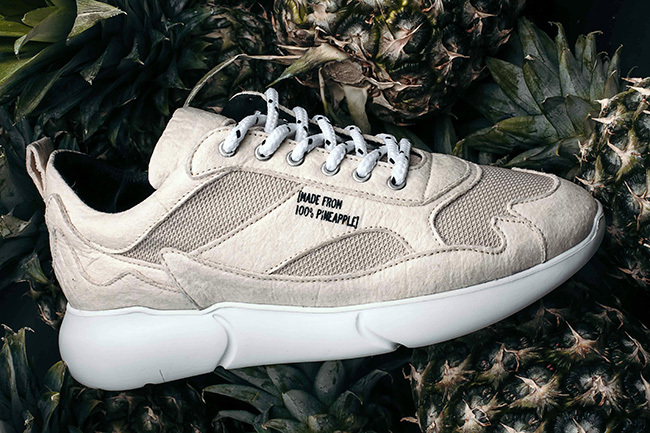 Designers are not just using pineapple leather in their designs, as German brand nat-2 has created a pair of sustainable vegan sneakers made of a soft, suede-like mushroom leather that’s also antiseptic and anti-bacterial. 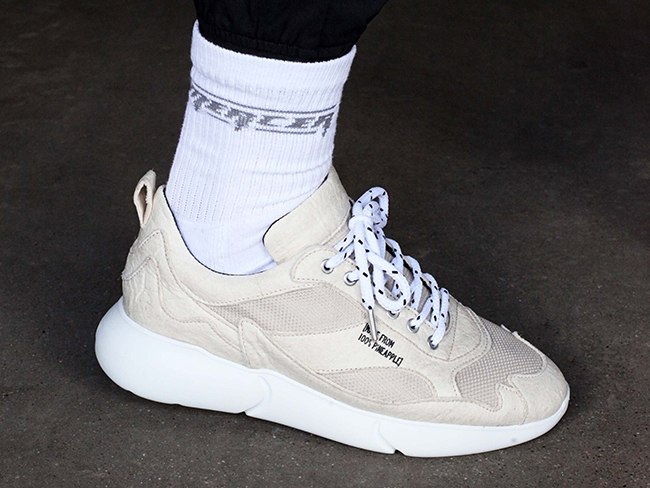 Sports brand Reebok has also experimented with ethical and sustainable fashion with the launch of a pair of fashionable vegan sneakers made from corn and cotton. The trainers, priced at €250, are available to pre-order online until 31 March when they will be available.